Why do we gather together as a church to pray? What’s the point? What do we do there? Why is this such a key date on the monthly Church calendar? At 614 Church, we typically gather at least once a month to pray, and the whole church is invited to these times. This is largely based on a few key scriptures we find in the New Testament. Isaiah 56:7 I will bring them to my holy mountain of Jerusalem and will fill them with joy in my house of prayer. I will accept their burnt offerings and sacrifices because my Temple will be called a house of prayer for all nations. Encouragement – Praying with others can bring great encouragement as we stand together to call on God, to pray for situations, and to pray for one another. Some come and are encouraged by words of encouragement prayed over them, others are encouraged as they recognize we’re in this together and standing arm in arm on this journey of faith. 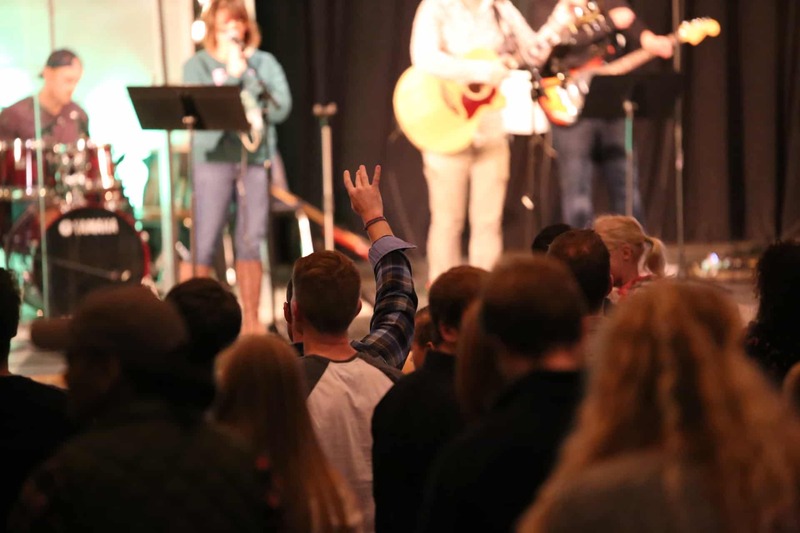 Worship – A good portion of our Corporate Prayer Meetings include worship. This often enhances our experience of God’s presence as we call on him together. Direction – Scripture shows examples of believers being together and then hearing from God about releasing church planters, or direction for people and situations. We come together expectant that God will speak to us as a church for the church, and for our individual situations. These are just a few benefits that flow from praying together! It is worth noting that prayer isn’t all about us! Prayer is about Jesus! It is about honoring Him! It is about worshiping Him! It is about calling on Him for His will do be done in our lives, and in our worlds. We pray to see the lost come to know Jesus. We pray to see the broken-hearted healed. We pray to see the sick healed. We pray to see the captives set free. That’s why we encourage everyone to pray together!